Brian J has a 5-Star rating and leads the company in total reviews, making this pro a ReviewBuzz Rockstar! 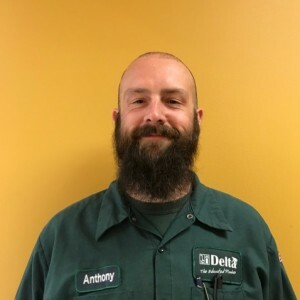 Brian is a licensed journeyman plumber with eight years of experience. 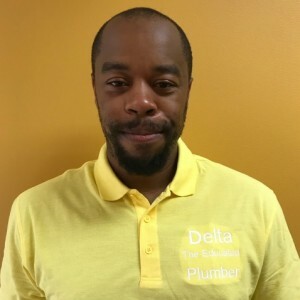 His excellent customer service skills make him a great addition to the Delta, The Educated Plumber team. Brian enjoys the challenge of his job. 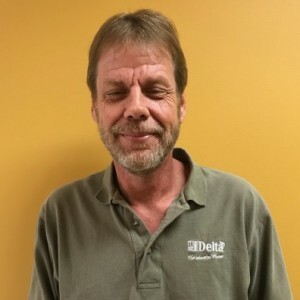 I just wanted to give Delta Plumbing recognition for such excellent customer service experience and such a quick response. 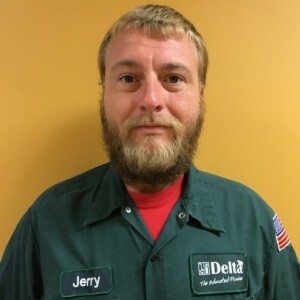 Brian Jackson was the service tech that initially came out to our home. He took the time to evaluate the situation and thoroughly detailed a course of action to take care of the problem. He was very pleasant and worked very hard to get the job completed. Scotty was an additional tech that came to assist Brian and they both double teamed my plumbing issues in the most cost effective way. I would highly recommend Delta plumbing and I will be a lifelong customer after receiving such a positive customer service experience. Thank you Delta, Brian and Scotty for such a pleasant experience. If I could give him more stars I would. Brian went out of his way to make sure our job got done promptly and professionally. I will only request him for future jobs. We had a water leak in the water pipe to our house resulting in a huge water bill. Brian came out and isolated the leak from the meter to the house and gave us an estimate and recommended laying a new line instead of repairing the existing pipe which was laid there in 1976. He worked two days and the first day stayed after we had gone to bed because it was going to rain the next day. He wanted to get some of the trench covered before then. Was back the next day to finish everything up. Very friendly, meticulous and conscientious about his work. Greatly appreciated. #Brian J was awesome. Very professional and courteous. Astute Technician who’s obviously the absolute BEST in determining causes of failure and most importantly, expeditiously repairing them!!! Brian did an outstanding job locating our sewer smell. He went above and beyond to make sure the smell and any other plumbing issues where taken care of. He will be our permanent plumber at our office and home. Very knowledgeable and friendly. Brian did an amazing job. He took his time and found the issue with horrible smell in our office. I will be making him and his partner our permanent plumbers. Plumbing issues happen when you least expect them too. However, knowing I can call a reliable plumbing company like Delta plumbing, sets my mind at ease. My technician was Brian Jackson. He was very helpful in immediately assessing my problem. I trust his expertise. He is a very courteous guy and most importantly a pleasant person to work with. Whenever I have plumbing problems I'm glad that I have found a company I trust. Brian J. gave an Outstanding Service for my home today. He is truly a great professional that goes over and above the Call of Duty to satisfy his assigned customer. 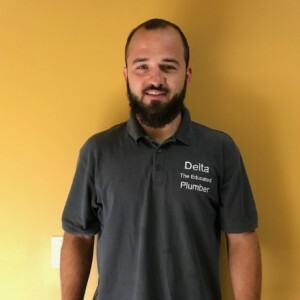 Brian is an outstanding Customer representative for the Delta Plumbing Company. outstanding service received from Brian & Derek Scott Ingram. completely satisfied. Brian came out the first day and Josh on the 2nd day. Both men were very courteous, professional and both explained each procedure performed and gave an estimate before performing the work. I was very impressed with both men and have a good impression of Delta Plumbing and would use them again. Good job however the company recommended for water remediation is shaky at best. Brian did an excellent job replacing the polybutylene pipes in my home. He was professional, respectful and courteous. His main concern was making sure everything was done to my satisfaction with minimal damage to walls. Any damage was repaired promptly. If I could give him a rating higher than 5 I would. I was very please with Brian and Delta Plumbing.